Nothing can make you frown quite like a failing freezer or broken dishwasher. When you call Mr. Appliance of Libertyville, we promise to help you get your household or business back on track, by offering expert appliance repair that actually lasts. No matter the specific brand of your appliance, our Libertyville appliance repair technicians will find a way to fix it. Why wait to get the best Libertyville appliance repair services? Contact us at (847) 278-9651 for service in Libertyville, Glencoe, and surrounding areas. At Mr. Appliance, we believe in total transparency and respect for your time. Unlike some repair services, our Libertyville appliance repair technicians always arrive on time and uniformed – and we only charge by the job, not the hour. That means you’ll get a precise quote before we get to your door, and it won’t change once we’re finished. We know that when appliances break down, it can feel like your whole life has come to a halt. 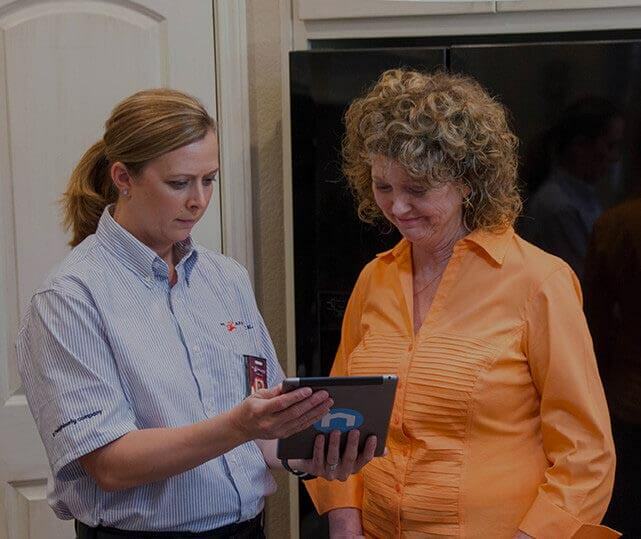 That’s why our Libertyville appliance service team is committed to offering friendly and fast service for each one of our customers, and treating their homes as if they were our own. For Libertyville appliance repair you can count on, call Mr. Appliance at (847) 278-9651 or schedule your service online.